This Keto wedge salad is really easy to make and depending on the toppings, can even be served as a meal! I top mine with eggs, bacon, and blue cheese dressing! I have a large salad just about every day for lunch, and sometimes for dinner as well. My typical salad has kale, baby spinach, radicchio, red onions, and eggs. Sometimes I top it with pork rinds in place of croutons, and other times, I add some fresh goat cheese. My dressing: a splash of red wine vinegar, olive oil with a pinch of salt and pepper. 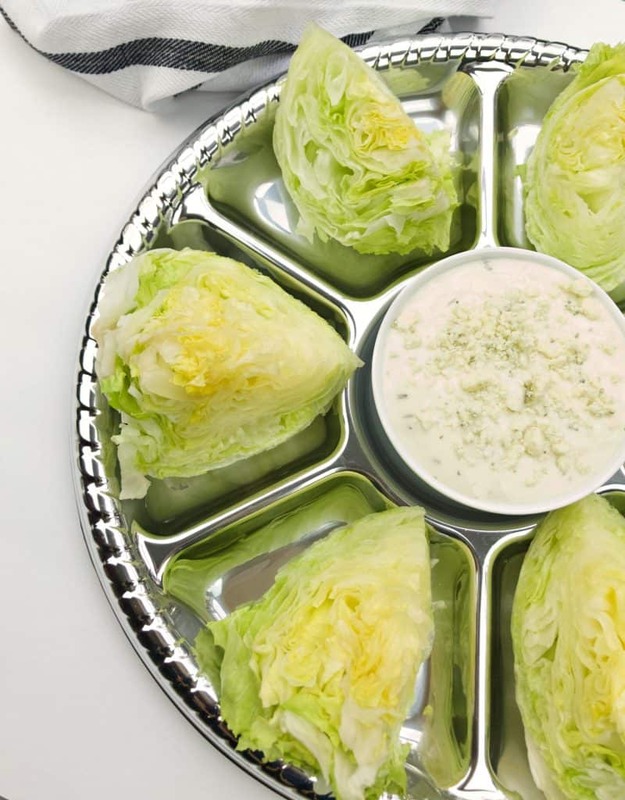 What’s a wedge salad? 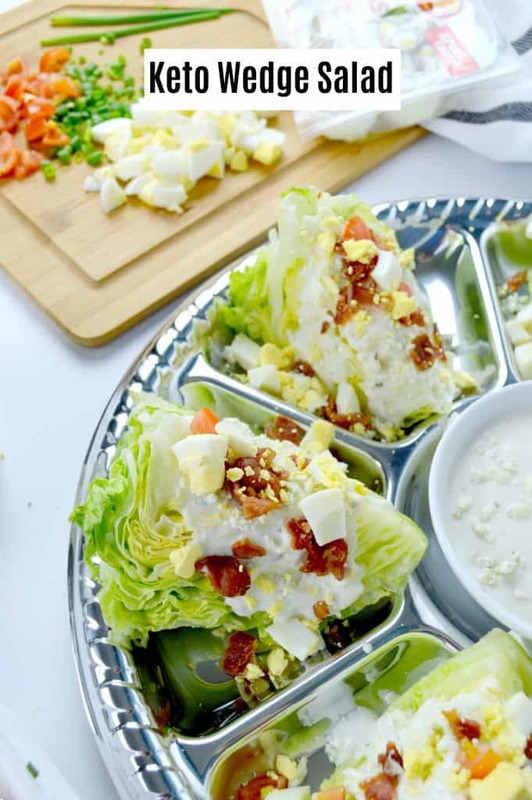 A wedge salad is basically a big chunk of iceberg lettuce that’s typically topped with bacon and blue cheese. The perfect low carb, Keto salad! For my wedge salad, I decided to add eggs, bacon and green onions! It’s so yummy and it goes perfectly with a piece of steak! 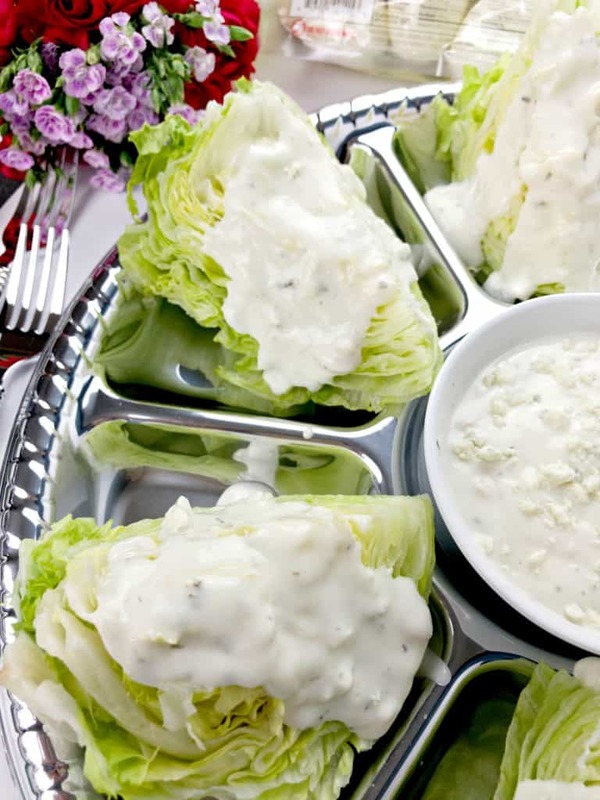 Below, you’ll also find an easy, keto-friendly blue cheese dressing. I’ve often made separate batches of salad dressings to keep my salads fresh and without all the added ingredients. 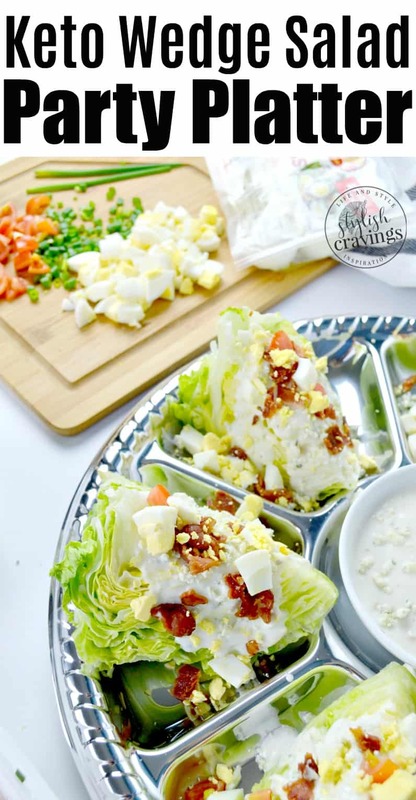 Scroll down for the easy wedge salad recipe! 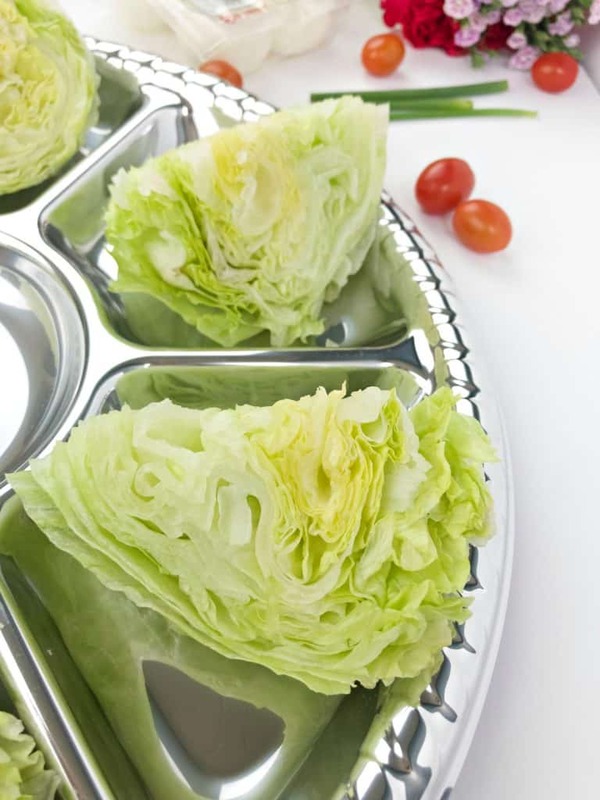 Pound head of iceberg lettuce against counter and remove core. Run water through hole until water runs out of lettuce. Place on paper towel and drain thoroughly. Cut head into quarters. **Remove any leaves that are limp or turning brown. Place wedge on plate (I like to serve mine on a platter). Top wedges with bacon, eggs, blue cheese dressing, crumbled blue cheese, and green onions.